If you ask me about a beauty product I regret buying, I would name 3 different makeup foundations wasting space in my makeup drawer. These foundations arent exactly total duds but they are unusable for me because they dont suit my complexion or make me all cakey and patchy. It is funny how i see so many women at lifestyle stores test foundation at back of their hands. How many women have you seen having the same shade of skin on their face and at back of their hand? Always test foundation on your jawline . I have brought wrong foundation even after testing it in store that culprit being store lights. After application on your jawline step out of the store into natural light and see if it looks natural before making the final purchase. You cant know how the foundation looks on you for real if you try it on your face which already has makeup so it is best to head out shopping without wearing any makeup. I know it sounds scary and all that but wearing even BB cream isnt advisable but you can ofcourse wear eye shadow and lipstick but don't any base makeup when you have decided it is the foundation shopping day. If you will be applying foundation on a primer then wearing the primer is a good idea. The sales assistant can tell you if the foundaton suits you or not but do you trust her enough? I have been deicved even by the mirror many times so I always take my sister along when shopping makeup, she tells me frankly hw a certain looks on me and then I make my purchase decision. If you want to check how the foundation looks in daylight it is best to take a friend along. Keep your skin type in mind while choosing a foundation. If you have dry skin you should buy a hydrating foundation and liquid or cream based foundation formulas work best for you. For oily skin mattifying cream or powder based foundations are best suited. Combination skin beauties can try stick or cream to powder foundations. Mineral foundations are specially formulated for sensitive skin but can work for all skin types. You need to know what kind of a coverage you want before you buy a foundation. If you have even toned skin without any blemished then you will want sheer to medium coverage. If you have problematic skin with a lot of blemishes you require medium to heavy coverage. Also if you are buying for everyday use light coverage is enough and for special occasions heavy coverage is best. I suggest you go in for a medium coverage foundation which can be built upon for heavy coverage and can also be applied with a damp sponge for light natural finish. If you know your undertones you can find your perfect foundation match faster. There are warm undertones, cool undertones and even neutrals. Yellow based foundation look good on warm undertoned beauties and even on women with netrual undertones. For cool undertones pink based foundations are best. Makeup foundations these days come with SPF in them but it is just a gimmick ! An SPF 15 or 20 in your foundation wll not offer proper sun protection and futhermore suncreens need to librally applied for best effects and who applies foundation that librally? Also SPF in sunscreen reflects light giving you a white cast in your photos when taken with flash so it better to avoid SPF foundations. This is one thing I am guilty of. I was lured in by discounts and purchased 2 makeup foundations online and both of them dont suit me. 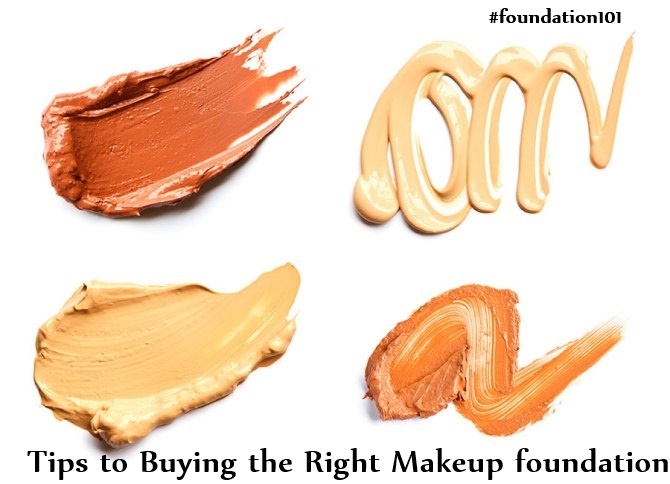 Never ever by foundations online always test and then buy in stores. you can then remember the name or number of your foundation shade and make repurchases online. There is wealth of information and reviews online so do your research well and follow recommendations of beauty bloggers who have a skin tone and type similar to yours. Try mixing two foundations to get your perfect match. Do you have anymore ideas to use foundations in wrong colour. ?